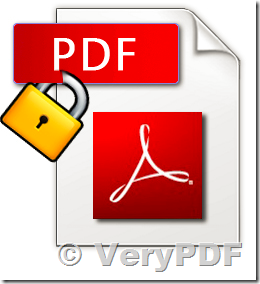 ← How to print a PDF file to high quality XPS file from Command Line? Our company is in need of an PDF encryption program which is compatible with SAP.Got a recommendation from SAP Forums about your encryption software.Our concern is our SAP is running on HP Unix and as I've read on your documentation, only windows OS is currently supported. Can i have a link or details regarding the HP UNIX Version? I Have to discuss this with my boss before we present this to the upper management. -key40bit : set output PDF encryption strength as 40 bits. -key128bit : set output PDF encryption strength as 128 bits. encryption strength is specified or an owner or user password is given. printing : allow top quality printing. lowprinting : allow lower quality printing. modifycontents : allow modifying contents. assembly : allow document assembly. screenreader : allow screen reader. modifyannot : allow adding annotation. filling : allow filling interactive PDF form. allowall : allow all the above permissions and top quality printing. -ownerpassword : set owner password to output PDF file. -userpassword : set user password to output PDF file. If you need any other information, please feel free to let us know, we will assist you asap. Adobe Reader or Acrobat displays a "At least one signature has problems" message when signed PDF is opened. Signature validity is UNKNOWN. Signer's identity is unknown. Can I use VB6.0 code to add unique password to my pdf file ?